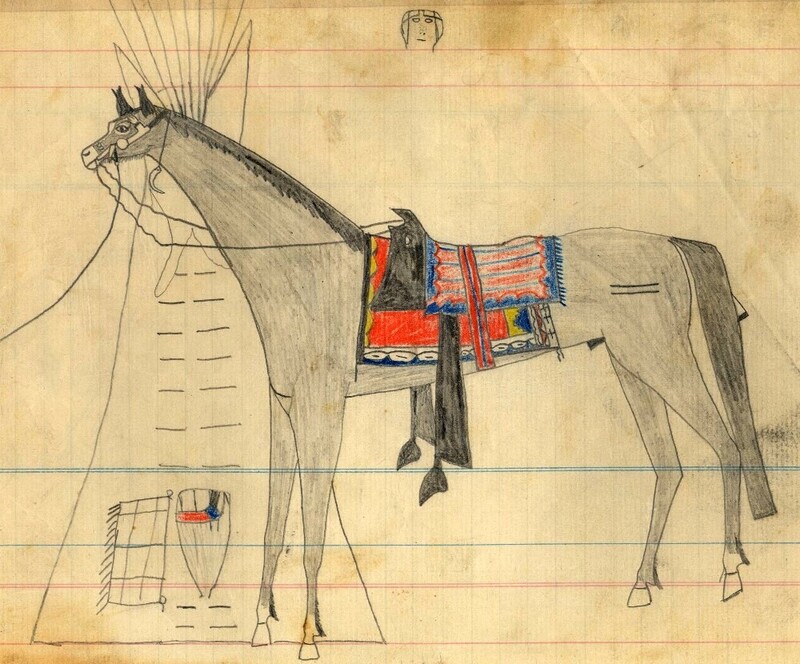 Befitting their important role in Plains culture, horses are prominently featured in almost every drawing, such as this one shown with a decorated white man's saddle and two colorful blankets in front of a tipi. According to Father Peter Powell, the horse's ears are clipped like those of a race horse. What appears to be a tooth hanging from the horse's neck may be from an antelope, considered protective medicine for race horses. Note the diminutive scale of the horse's head, a stylistic convention seen throughout the ledger drawings. The small head drawn above the horse may be a a name "glyph" identifying a particular person. TARL Archives.